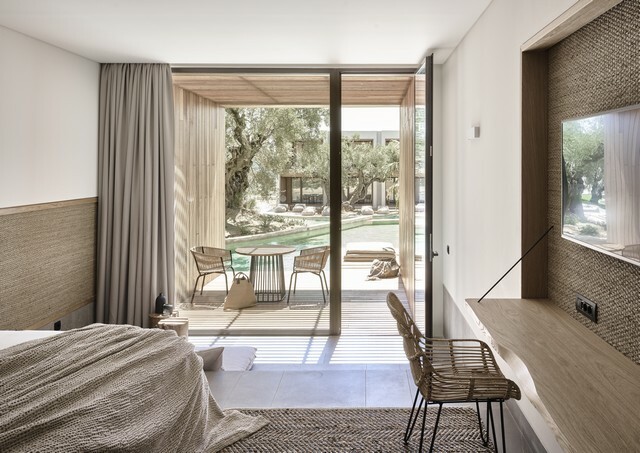 The 93 suites at Olea span between 36 and 105 square meters, and all feature outdoor living spaces with impressive views of the hotel’s surroundings. The 36-square-meter “Superior Suite Swim Up” and 40-square-meter Superior Water Suite offer a shared pool, while the Executive Suite, the Honeymoon Suite, and the Presidential Suite — at 40, 53, and 105 square meters, respectively — all boast a private pool. 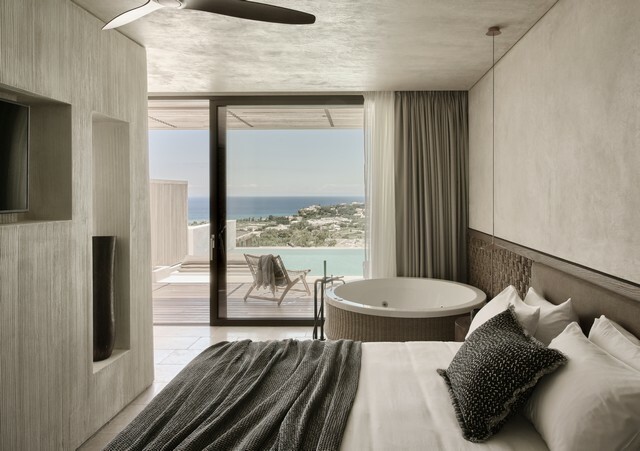 Enjoy the beautiful view over the Ionian Sea from your generously-sized Junior suite. 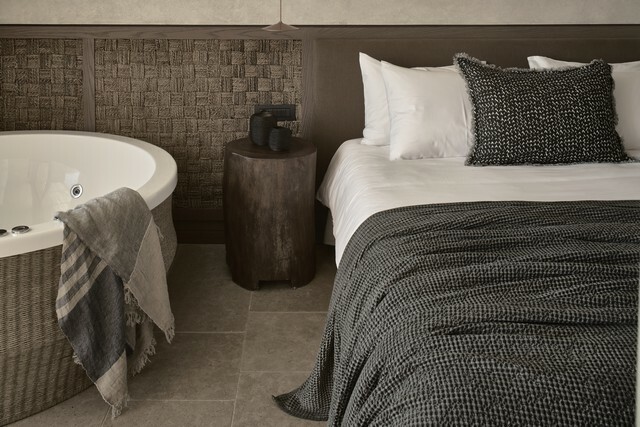 Tactile natural materials and stunning contemporary design blend seamlessly in the Executive suite. The spaces instantly put you at ease thanks to a neutral, earthy palette and carefully chosen pieces of furniture. Relax in the lounge area or the pool and take pleasure in the sublime experience for all your senses. 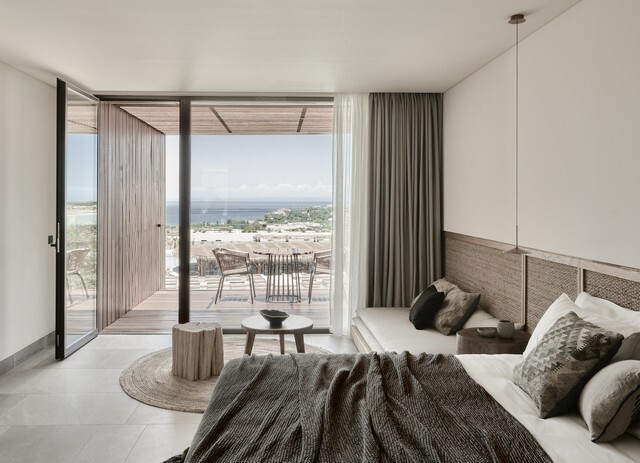 Mediterranean chic meets tropical escape in the Junior Suite with Pool View, which is generous in size and features. 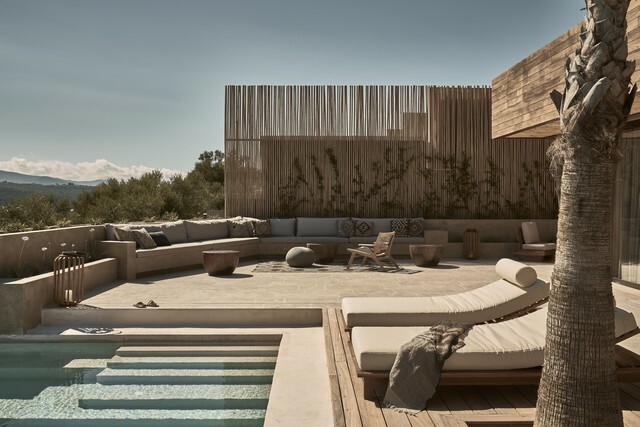 At 36 square meters with an outdoor living area of 15 square meters, the Junior Suite Pool View, is ideal for putting your feet up and relaxing in ultimate bohemian style. The all-natural CocoMat mattresses and pillows guarantee a perfect night's sleep, while the sweeping views of the hill's evergreen vegetation are an open invitation to a world of wonders. Enjoy! 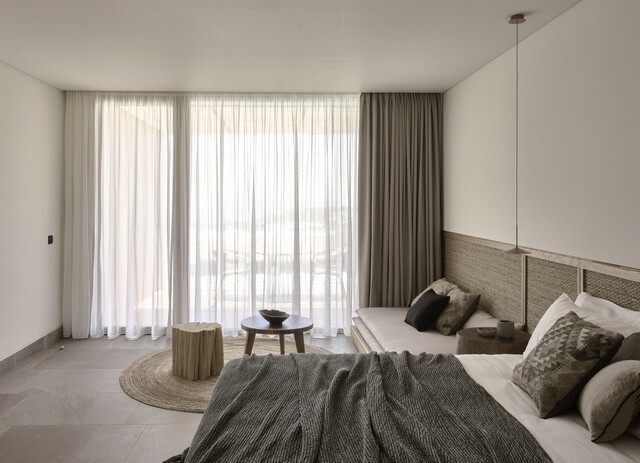 This Junior Suite with stunning sea view is ideal for putting your feet up and relaxing in ultimate bohemian style. Mediterranean chic meets tropical escape in this suite that's generous in size and features. The all-natural CocoMat mattresses and pillows guarantee a perfect night's sleep, while the sweeping views of the hill's evergreen vegetation are an open invitation to a world of wonders. Enjoy! A spacious, sun-drenched hideaway that's best enjoyed when (you're) wet. 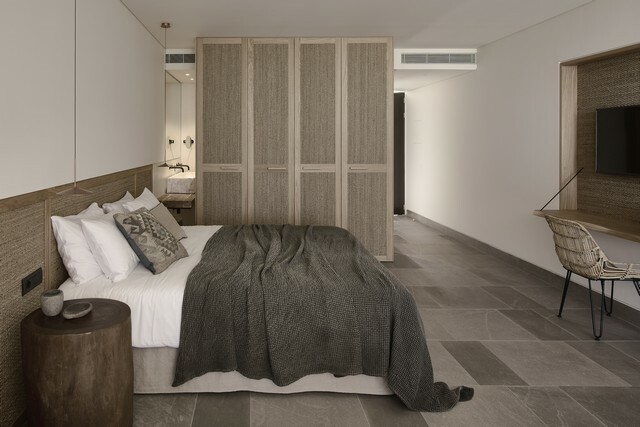 Experience contemporary Mediterranean design with a dash of equatorial hipness in this stylish 36sqm retreat. Offering a comfortable outdoor area and an uber-cool shared pool with a view, it's ideal for design-savvy couples or up to three people. 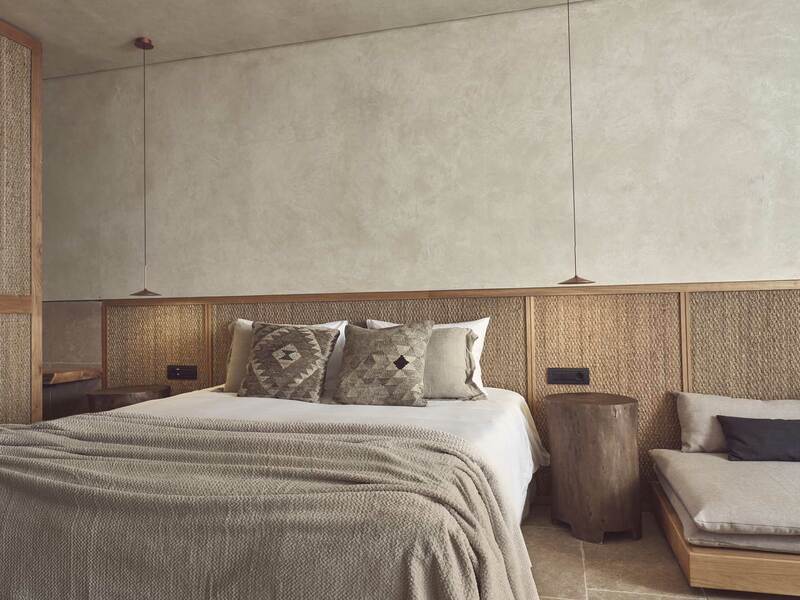 Crafted with natural materials, including CocoMat mattresses, this roomy suite takes indulgence to the next level with its effortless design and attention to detail. 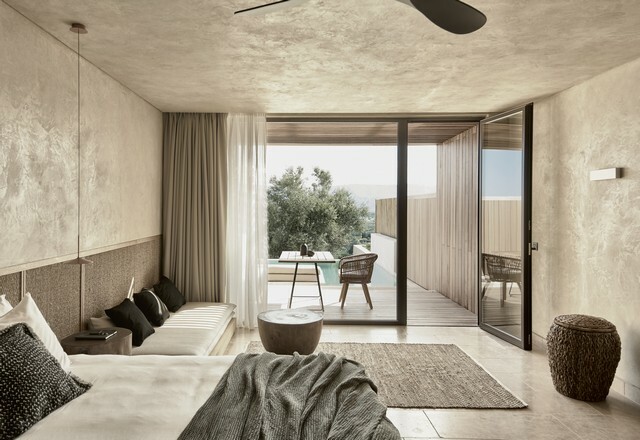 Experience contemporary Mediterranean design with a dash of equatorial hipness in this stylish suite with a view of the pool. Offering a comfortable outdoor area and an uber-cool shared pool with a view, it's ideal for design-savvy couples or up to three people. 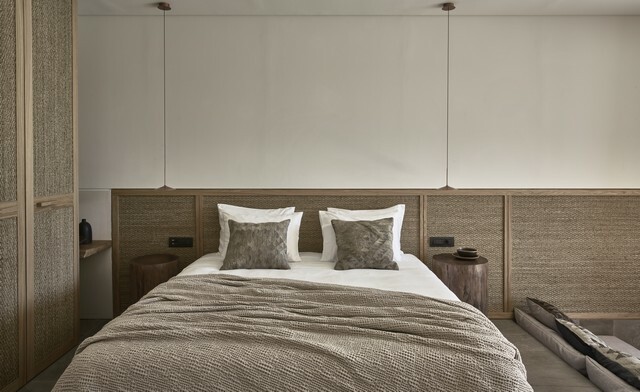 Crafted with natural materials, including CocoMat mattresses, this roomy suite takes indulgence to the next level with its effortless design and attention to detail. 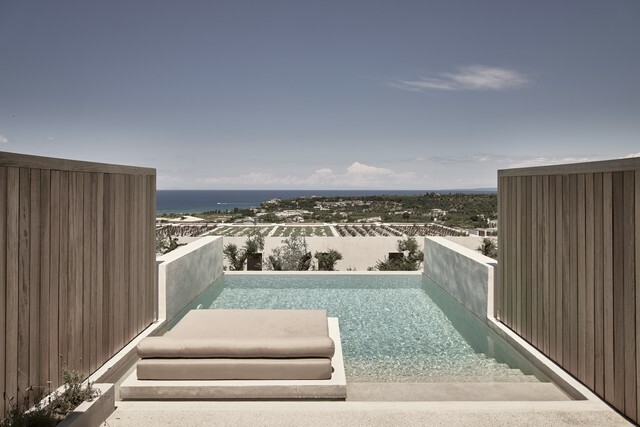 Enjoy the beautiful view over the Ionian Sea from your private infinity pool in the generously-sized Executive suite. With the Superior Water Suite, we’ve transported nature into your personal eco-friendly sanctuary. 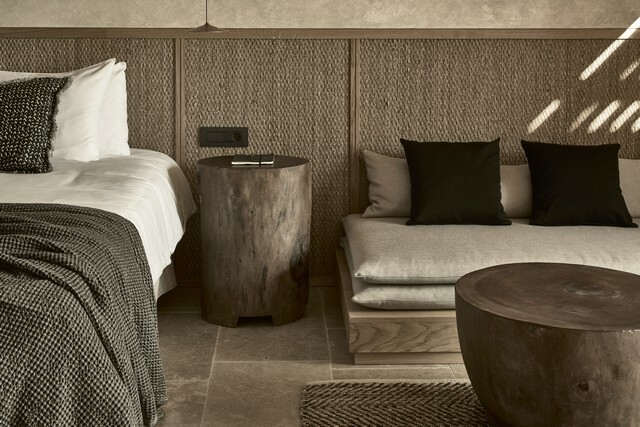 Natural tones and earthy colours highlight the graceful outlines of rustic oak wood furniture and rattan finishes. At the same time, you're invited to relax on the terrace. Tactile natural materials and stunning contemporary design blend seamlessly in the Executive carefully chosen pieces of furniture. Relax in the lounge area or the pool and take pleasure in the sublime experience for all your senses. Enjoy majestic sunsets from your private infinity pool in the generously-sized Executive suite where natural materials and a subtle earthy color palette reign. 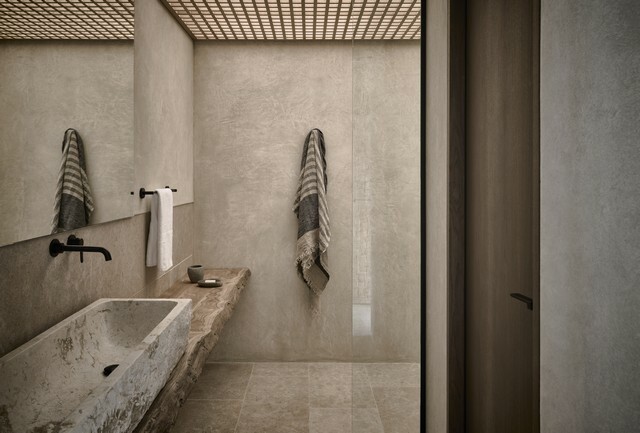 Tactile natural materials and stunning contemporary design blend seamlessly in the Executive suite. The spaces instantly put you at ease thanks to a neutral, earthy palette and carefully chosen pieces of furniture. Relax in the lounge area or the pool and take pleasure in the sublime experience for all your senses and the majestic sunset views. 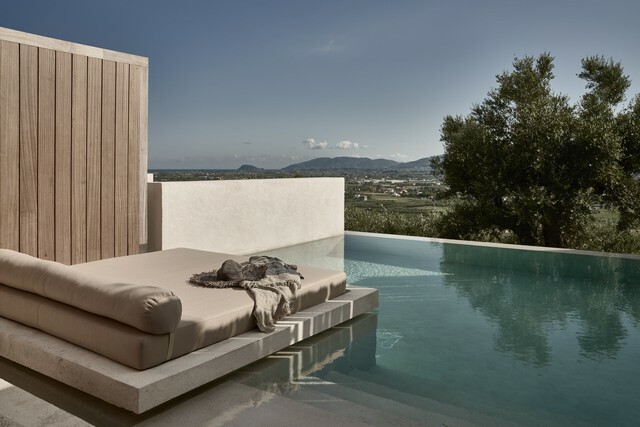 The ultimate choice for couples, this luxurious suite not only offers up unique sea views but also a private infinity pool so one never need leave. 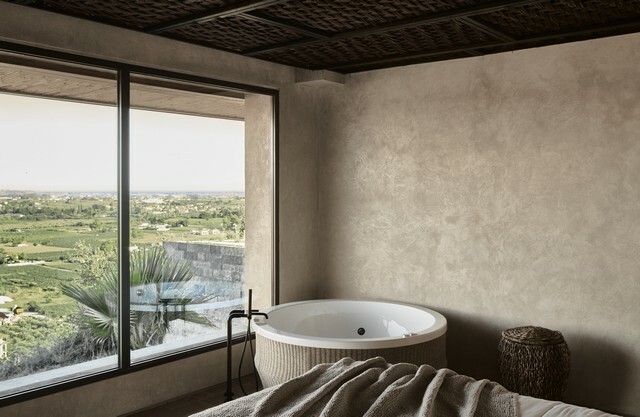 Disconnect from everything and everyone in this private retreat that seduces your senses with its eclectic mix of design and elegance. With an indoor area of 53sqm and an exclusive terrace of 22sqm, you can leave the world behind while you celebrate romance with the best sea views. And the best part? An infinity private pool awaits you after a long day of doing nothing more than soaking in the sun. 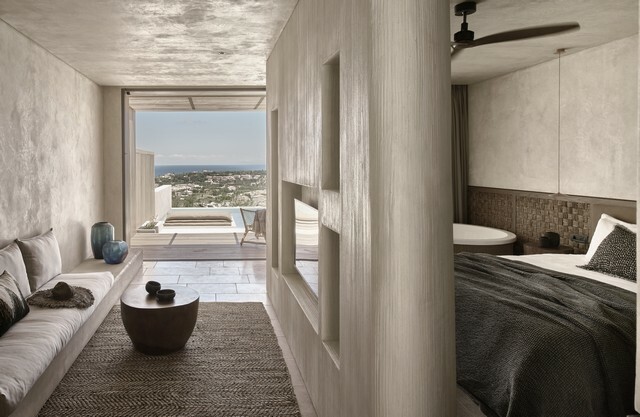 Offering a one-of-a-kind Mediterranean escape, the Presidential suite offers sweeping views of the island, which you can enjoy from your own private pool. Inspired by its breathtaking surroundings, the Presidential suite features an ultra-stylish indoor area of 105sqm, a terrace of 25sqm with stunning views and a spacious 37sqm private infinity pool. Here, you'll experience the best that Olea has to offer when it comes to your stay.